Sport can be a passionate thing! This is as true of Rugby as any other but perhaps in twentieth century France we can find such passions heightened. Often overlooked in the anglophile story of the sports origins is the French claim to having created the sport as a representation and aspect of a social identity. Andrew Smith looks at the early days of Rugby in the Languedoc region up to its modernisation and professionalization in the late twentieth century; his focus is upon the parallels and comparisons of regional pride verses national form, in other words where did regional passions about the sport and its focus on moral and physical athleticism intersect with national interests and the story of the French nation and people? Andrew Smith talks about competing constructions of modernity and romantic memories and images of past activity. The French might not have created Rugby but they built upon it creating new traditions and identities that have become just as much an element of the sport as what the British first intended. In France 1907 is an important formative year, as the so-called wine-riots in the Languedoc moulded its workforce into a more violent and defensive mentality. This mentality crossed over into Rugby as physical athleticism merged with tactics learnt from the defence of the wine trade. The drinking of wine also became very much part of the French experience of Rugby at this time. Andrew Smith’s paper looks into these competing narratives and tries to get to the heart of French Rugby during its formative years and asks what effect that has had on the development of the sport up to the present day. 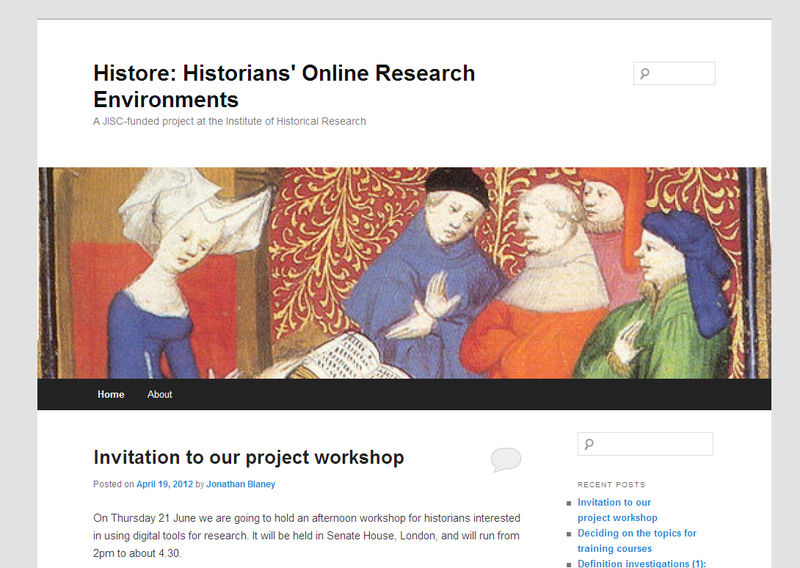 History SPOT will soon be home to training modules from the IHR Digital project (funded by JISC) HISTORE. This project is developing short modules introducing various digital tools that might be of use to historians. For instance, I’m currently working on the introduction pieces for a module on Text Mining. This tool allows historians to search large corpuses of digitalized texts in a deeper and more meaningful way than an ordinary search engine could ever achieve on its own. As part of the project the IHR will be holding an afternoon working on Thursday 21 June (2pm to 4.30pm) on the topic of using and learning about digital tools for historical research. This blog post, then, is an invitation. If you would like to join us please email Jonathan Blaney at jonathan.blaney@sas.ac.uk. It doesn’t matter if you have in-depth knowledge of digital tools or whether you are just interested in finding out something about what such tools might offer, we would very much like to have you there. There will be several talks followed by a break-out session. The project team will discuss the work we’ve done to date and there will be more general talks on the topics of semantic markup and text mining. Attendees are encouraged to bring digital project ideas to discuss during the break-out. There will also be an opportunity to discuss your projects with us one-to-one, if you’d like to. This workshop is free but places are limited. So again, if you’d like to come to the workshop, or have any questions about it, just drop us an email at jonathan.blaney@sas.ac.uk. ‘La Salada’ is a large informal fair in the Southern suburbs of Buenos Aires, Argentina. Although the fair is in principle a place of work, it has also become the main place of identification for the Bolivian community in Buenos Aires, who hold their annual religious festivity ‘Virgen de Urkupiña’ there. As a reaction, the Argentine community organises concerts of Argentine folklore and horse-breaking shows. The fair was established by a group of Bolivian traders in the early 1990s and expanded very soon, including large groups of Argentinians. Each community found in the traditional festivities an ideal way of making their presence clear in the larger context of the fair. The place where the fair is held used to be a lagoon where the families of the area enjoyed recreation during the summer. In the late 1940s the national government built a set of public pools aside the lagoon, and the whole location was officialised as a public leisure site. By the late 1960s the lagoon was dried and the pools had been closed due to contamination, but the memory of the site survived in the local oral history. Nowadays the fair stands in front of the land of the dried lagoon, and is beginning to advance over the earth-filled abandoned pools. This paper will argue that La Salada’s site was not only a key place of recreation for the families of the Southern area of Buenos Aires, but also a place where identity was and is continuously constructed. The history of the site will be illustrated with maps and photos. Finally, a comment will be made on the visibility of La Salada fair, which develops its activities in the margins of the formal economy but is widely recognised as an important node in the area. Adriana is undertaking a PhD in the University of Cambridge’s Department of Architecture on urban planning and informal settlements in 1950s Buenos Aires. Most histories of cricket ignore the grassroots game in favour of the bigger teams. Emma Peplow tries to rebalance the picture by focusing on the smaller clubs across Britain. She asks what community life is like in these clubs; how they interact with minority groups, children and gender. This particular paper focuses on the inter-war and post-war periods looking at questions of commercialisation (generally avoided by most small clubs) and the perception of a ‘spirit of cricket’ i.e. belief that cricket teaches morals and provides community support more than other popular team games. Peplow was particularly struck by the story of Bliner cricket club which saw its success rise during the 1920s and 80s just at the time when the community was in massive upheaval. The latter of which coincided with the coal mining strikes against Thatcher’s government. Does this success explain something to us about the heightened community spirit that resulted during those difficult times? The Old Bailey Proceedings Online is a heavily used resource by historians of the eighteenth and nineteenth centuries who want to look at social and cultural history, particularly of the ordinary people. The ‘from below’ perspective that the proceedings can provide especially due to its mark-up online has truly moved the discussion forward. However, as the project was originally underway at least one person saw another possibility for the resource. 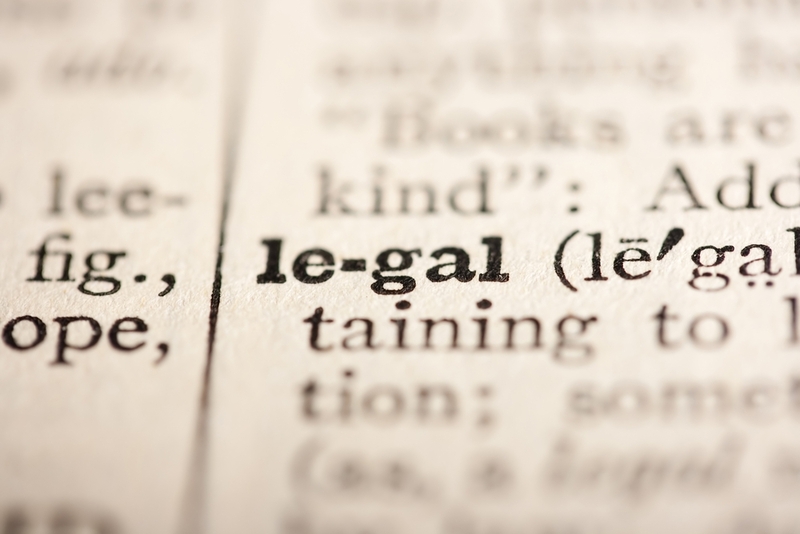 Magnus Huber is an historical-linguist and he viewed the Old Bailey corpus as a largely untapped resource for rediscovering spoken English in a period before audio or visual recordings. Huber has analysed the texts for long variations and change in spoken English as expressed in the court trials. He has asked and attempted to answer how accurate such a study can be. Does the written record accurately record spoken English? Even where the scribe has noted down direct speech, can we be sure that this is correct? What about the problem of summarising or changes in word-forms such as “can’t” rather than “cannot”? From an historians point of view some of this is not important to gaining an historical sense of what the resource is telling us. However, from a linguists point of view there are important differences and the records cannot entirely be trusted to tell us everything that we would like to be able to assume. A lack of internal consistency in the text is a problem and even comparing to other parallel documents cannot necessarily tell us the entire story. Nevertheless, Huber’s study of the Old Bailey records has enabled him to reconstruct much more than would otherwise be possible. The quantity of material of the same form over a lengthy period of time that the Old Bailey records provide is a gold mine of information. Now marked-up with the latest digital technology and using digital tools to analyse and ‘mine’ the evidence, the Old Bailey proceedings are continuing to provide almost endless possibilities for research. To listen or watch this podcast click here. What do you do about a spectator sport such as football during a period of declared war? This is the question that Matthew Taylor investigates in relation to the declaration of war by Britain against Germany that initiated World War Two. Soon after war was declared spectator sports such as football, greyhound racing and horse racing were banned entirely, but such policy didn’t last long. Morale was down and the government began to recognise that sport had a place to play in providing recreation and confidence during a long drawn out war. The possibility of German bombs targeting massed gatherings at sporting activities remained a strong concern for the government, but nonetheless restrictions were slowly lifted. Spectator sport has rarely been talked about in studies of the home front during the Second World War yet it tells us something important about the wider picture. Taylor tries to show what that picture was and what it meant for the wartime experience.